Heathrow's new Terminal 2 has welcomed its first passengers, with the airport insisting it has learned lessons from the opening of Terminal 5. The first flight, from Chicago, arrived at Terminal 2 shortly before 06:00 BST. The opening coincides with a 24-hour strike by members of the RMT union who work on the Heathrow Express rail link to central London. The union says plans to save £6m from the cost of running the service could affect 200 jobs and hit working conditions, but managers say they plan to run regular trains despite the walk out. The £2.5bn Terminal 2, known as the Queen's Terminal, replaces the very first passenger building which was opened by the Queen in 1955. Before that old army tents had been used to house passengers. Eyes will be on the airport because the opening of Terminal 5 in March 2008 was such a disaster, said the BBC's transport correspondent Richard Westcott. Staff could not park, find their way around or use new systems. In the end the brand new luggage system went into meltdown with 15,000 bags stuck in the wrong place, he added. Heathrow's owners said they had worked hard to stop a repeat of such a situation, with only 10% of Terminal 2's capacity being reached on the first day. This means there are due to be just 34 flights carrying 6,000 passengers. There will eventually be 330 flights a day to 50 destinations by 26 airlines. 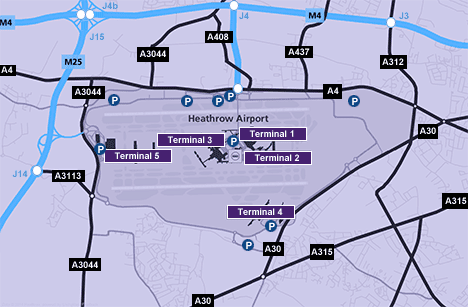 Heathrow development director John Holland-Kaye said: "T2 is the culmination of an £11bn investment programme that has transformed Heathrow for passengers. Opening a new terminal is one of the most complex challenges that any airport can undertake. "Our measure of success is not everything running perfectly on day one; there will inevitably be things we can improve. Our real measure of success is whether T2 comes to be rated by passengers as one of the world's best airport terminals for years to come." There is a lot at stake because Heathrow wants permission to build a third runway and new terminal to go with it.